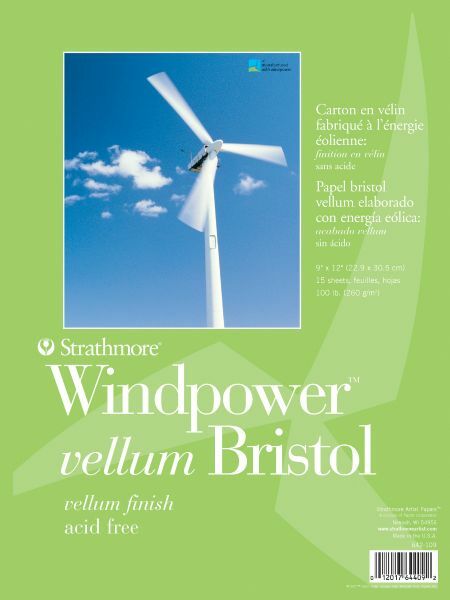 Strathmore Windpower™ Tape Bound Bristol Vellum Pad 9" X 12"
This bristol weight board is manufactured with emissions-free wind generated electricity through the purchase of 100% certified renewable energy credits. * Smooth is rated very good for mechanical drawing marker airbrush along with pen and ink. * Vellum is rated very good for pencil charcoal sketching stick oil pastel and airbrush. 12" x 9" x 0.25"